Consider that by the time you are reading this article, some people who have already articulated their new year’s resolutions, may have broken them. Whether or not you put forward new year’s resolution this year, you do have an opportunity in the New Year to make a decision that can impact you and your loved ones for many years to come. This decision has to do with your estate planning. Research shows that more than half of American adults don’t have any estate plan in place, including a basic will. This means that other people and mainly the court system, will be making decisions on their behalf. If you don’t take actions to plan ahead, your loved ones are left dealing with the repercussions, all of which can be serious. Going through probate can take time and add frustration to an already-hard situation, so it’s best avoided with the right planning. 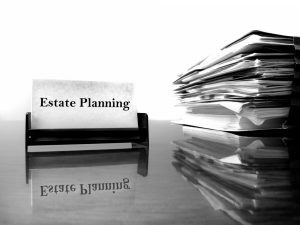 This can put your family members in a very uncomfortable and difficult situation after you pass away because your estate will likely need to pass through the probate system. The court is responsible for determining what happens to your assets and this means any individual wishes you may have had prior to an unexpected death were not recorded and will not be carried out. The decision-making process associated with estate planning is not always an easy one, but sitting down and investing some time into doing it can benefit your family for many generations to come.